The US Fish and Wildlife Service is considering adding the yellow cedar (Callitropsis nootkatensi) to its list of threatened or endangered species, at the urging of environmental groups. 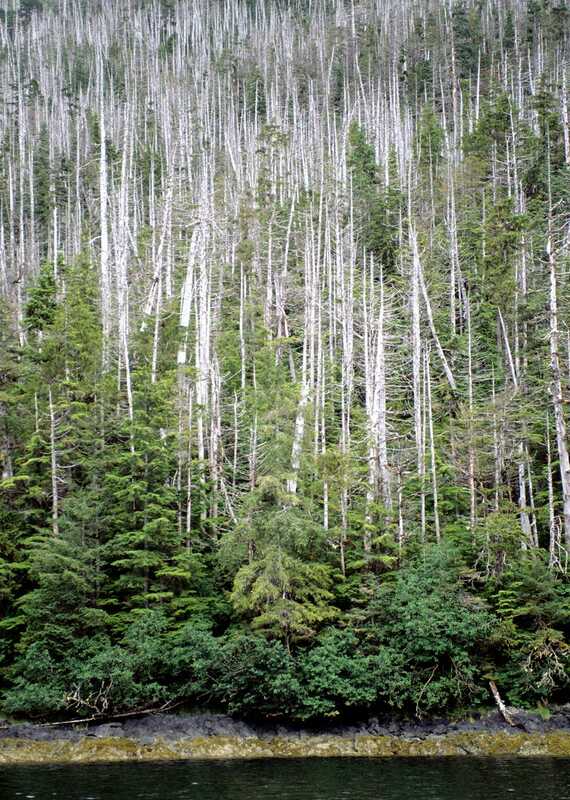 The reason for the iconic Alaska tree's population decline: climate change. According to the Seattle Times, the groups that petitioned to protect the yellow cedar are pleased with the announcement, which came on Thursday. The decision is great news for the Tongass National Forest and for yellow cedar, said Rebecca Noblin, an attorney in Anchorage for the Center for Biological Diversity, one of the groups that petitioned to list the tree. “We’re losing yellow cedar rapidly to climate change, and if we don’t start addressing our greenhouse gas emissions, we’re going to lose yellow cedars,” she said. The timber industry took a different viewpoint. Owen Graham, executive director of the Alaska Forest Association, a timber industry trade association, said no listing is warranted. But there's no arguing with the tree's cultural importance, nor the science behind the petition, per the U.S. Forest Service. Yellow cedar trees can live more than 1,000 years. Tlingit, Haida and Tsimshian people use the rot-resistant wood for canoe paddles and totem poles. They can take a lengthwise strip of bark from a living tree for weaving baskets and hats, and as backing in blankets. The tree can compartmentalize the injury and continue growing. However, the yellow cedar’s shallow roots make the tree vulnerable to changes brought on by climate warming, according to petitioners. In a paper published in 2012, U.S. Forest Service researchers concluded that climate warming has meant less snow and less insulation for the ground. Elevated mortality began around 1880-1890 and peaked in the 1970s and 1980s, according to the study. Across 781 square miles of Alaska’s Panhandle, more than 70 percent of yellow cedar trees have died because of root freeze induced by climate change, according to the listing petition. The US Fish and Wildlife Service will conduct a survey over the next 12 months, after which time the agency will decide whether or not to add the yellow cedar to its list of threatened or endangered species.